94 years, on February 16, 2019. Residing in Parry Sound since 2016. Beloved wife of George W. Meisner (1989). Loving mother of Leslie George (Janice), Newmarket; Margie Gayle Harris (Simon), Dunchurch/Parry Sound; the late Frederick (1989, Pat), Edmonton; the late Timothy (2017, Patricia), Calgary; and the late Randy (2013, late Maureen, 2012), Windsor. Daughter of Oswald (1945) and Susan Boutilier (1986), Quebec. Dear sister of the late Harold (2004, late Clemence, 2001) Boutilier, Montreal. Dear sister-in-law of the late Fred (1991, late Maureen, 2000) Meisner, Windsor. Cherished grandmother of Heather, Mandy, Lindsay (Dee), Kathryn, David, and late Christopher (2009). Great grandmother of 8. Aunt of many nieces and nephews. Special aunt of Fr Michel Boutilier, Winnipeg. Grateful thanks to Sharron McNorton, Windsor. Much appreciation to Brian Leslie, Harrow. Very special thanks to Dr. Thompson and the amazing staff at the Belvedere Home, Parry Sound. Margie’s legacy as a gentle follower of Jesus through many difficult circumstances and as a caring friend, will remain forever. She was an active member of Nobles Memorial/New Hope Church, latterly attending Banwell Church in Windsor. For many years she participated enthusiastically in raising community awareness of mental health issues. She also inspired us with her beautiful poems of faith and family. 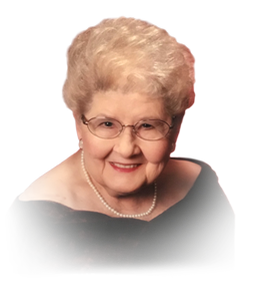 Margie leaves behind great memories of life on Dandurand Blvd, at the Carriage House, and the Royal Marquis. In lieu of flowers, donations to the Heart and Stroke Foundation, Windsor & Essex County Cancer Centre Foundation, or the Belvedere Heights Home would be welcomed. Visitation Thursday, February 28, 2019 from 11:30 am until the time of the funeral service at 1 p.m. at Families First, South Windsor, 3260 Dougall Ave., Windsor, ON (519) 969-5841 Rev. Dr. Alex Moir officiating.